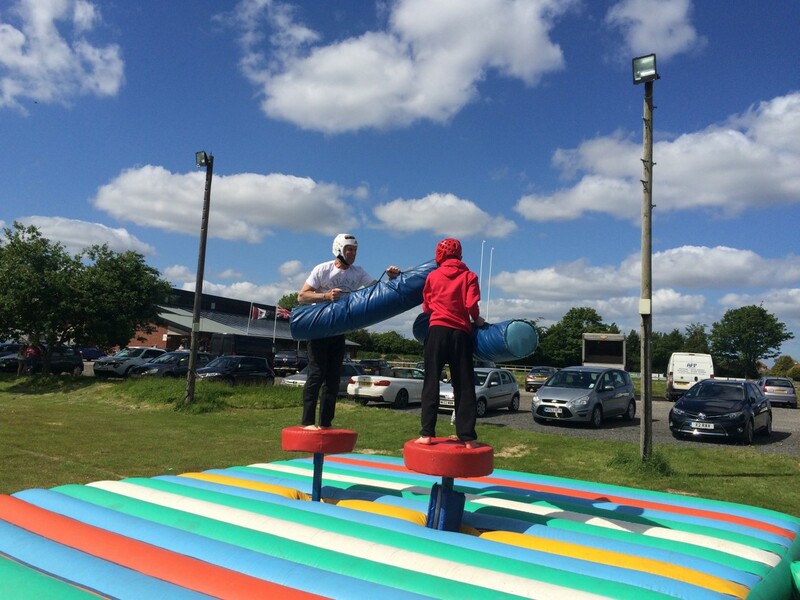 Active Days Out | It’s a Knockout! It’s a knockout is one of the most fun events we ever run. Based on the popular game show of the same name, this event is always fun and often has all the participants in fits of laughter. It’s a knockout is ideal for motivating staff, it’s a great fun day out and an excellent team building event. It’s a knockout is extremely popular as a charity fundraising event or part of a family fun day and can be run in the UK or as an International event. Slippery slope from Well done events Your group will be split into teams who will then compete against each other through the various It’s a knockout events. The games can range from large costume games like Giants or Inflatable games such as Slippery slope or Mangle. At the beginning of the event each team will take part in a comical warm up and will then rotate around all of the obstacles and games. Each It’s a knockout event is usually a mix of giant costume games and Inflatable games. The whole event will be set to a lively music soundtrack and we include a compeer as well trained instructors and health and safety personnel. At the end of the competition there will be a presentation of a trophy and medals for first and second place. One final thing, you WILL get wet. If you would like to talk to us further about it’s a knockout please give us a call on 0114 2700 330.